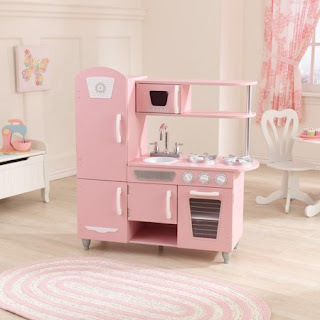 Kids can cook up some fun with the KidKraft Vintage Play Kitchen in Pink. 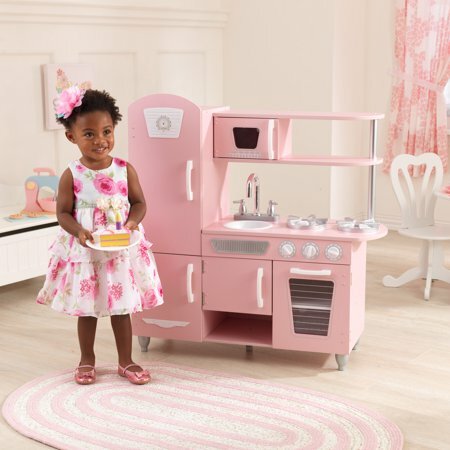 It's made with doors that open and close, knobs that click and turn and plenty of convenient storage space to create a lifelike experience for little ones. It offers a simple way to help children learn about the world around them in a safe and enjoyable manner. This Kidkraft retro kitchen features a cordless phone with a hands-free clip, see-through doors on the oven and microwave and more.